Tempered glass chairmat features a scratch-resistant design to protect your flooring while offering a smooth surface for your chair. Its durable material safely supports up to 1,000 lb. Easy-to-clean material wipes down quickly for simple upkeep. 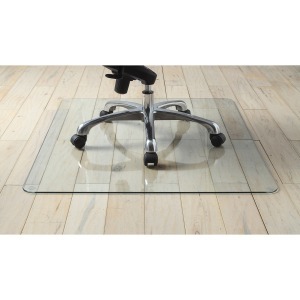 Chairmat is designed for any floor type including high-pile or low-pile carpet, hardwood, marble and more.